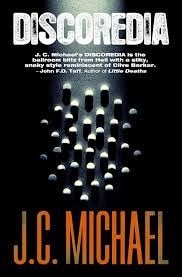 A peer of mine from the Books of the Dead Publishing, J.C. Michael, is out with a new book this week. Discoredia. It’s a fantastic novel that has all the tone and content of a drug induced rave. 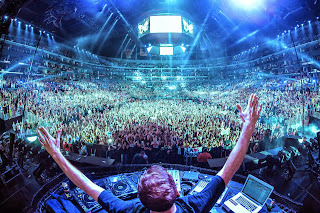 The novel follows a handful of characters preparing for the ultimate rave party on New Year's Eve, made that way by a demonic drug dealer who introduces a new strain of drug. You'll be as enticed to use this drug as the main characters are by the time the party hits (or maybe that's just me). But this pill is laced with some supernatural, demonic ju-ju that brings forth the devils in all of us. You know the madness of an ancient evil is going to hit its peak at midnight, and when it does the author shines. It's creative, witty, twisted, and intelligent. I found myself marveling at the author's mind. If you've read and enjoyed any Joe Hill, you will certainly love this. I have been sober for over 20 years, yet I still am attracted to drug-related media. 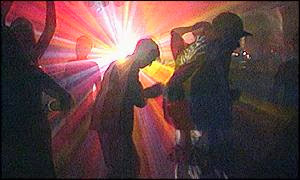 Addicts and alcoholics, both active in their addiction and in recovery, seem to love their addiction related stories. Look at Trainspotting, Requiem for a Dream, to name a few. Maybe it makes us feel more important than we are. Maybe it gives some empathy and understanding. Whatever it is, if the story doesn’t ring true, it’s like a doctor watching an ER episode. The drama just isn’t the same. 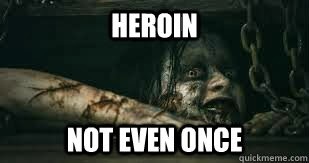 Example: I loved the whole Heroin Detox at the cabin storyline in the remake of The Evil Dead. I have to detox here? Everything was done so well, from the character's attitude, her physical pain, to the mistrust from others. What was not done well, however, was her little ceremony where she swears to never touch Heroin again and throws the syringe and the heroin down the well. No way does that happen. You use the heroin, and then throw away the syringe when it’s all done. Reading Discoredia rang true and never had these moments. The author nails the drug and music scene in tone and content. The author understands the mind of a user; how the characters think, what they experience, the images, the change of consciousness, the madness that swirls. It felt like a Lollapalooza mosh-pit (yeah, I've been in one, not really on purpose) and a Grateful Dead show put together. But in Discoredia, the author takes the show to a place more deliciously dark than any concert I’ve been to. This actually sounds like a book I am interested in reading - when I get back to reading, as in who has time for ANYthing these days it seems?! It brings Sunshine to my life and I love your writing! You don't have to participate of course, but I wanted to let you know! Thanks for writing. And how ironic that you gave me the "Sunshine" award after a dark and grim post like this. But thanks! I've done these before, and they're usually interesting. Stay tune. Great post Mark. I quite agree, if you try to write about a topic like drugs, but have never experienced it, then the writing won't stand up to scrutiny. I suppose you can get away with it if the reader doesn't know any better, but when you get found out that's it, all your legitimacy gone. Thanks for posting Mark. And Sara, I hope you find chance to read my novel!